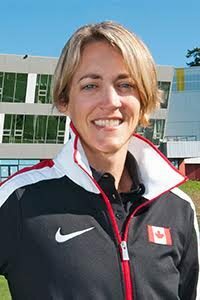 Victoria, BC – As part of the Coaches Week celebration across Canada, the Canadian Sport Institute Pacific has handed out a pair of grants recognizing the contributions of Advanced Coaching Diploma graduates who have worked with Team BC at the Canada Games. The Advanced Coaching Diploma / Team BC Canada Games Bursary recognizes the commitment made in coaching at the Games and aims at raising the qualification standard for Team BC coaches. The 2017 recipients of the grant are Kelly Guest from Triathlon and Mike Charuk of Mountain Biking. For the second-straight Summer Games, Kelly Guest served as the Lead Triathlon Coach for Team BC in Winnipeg, where his athletes had tremendous performances – winning five medals. Three of those medals came from first-place finishes in the Mixed Relay and the male and female X3 Relays. Team BC’s Desirae Ridenour topped the podium in the Female Individual race, while teammate Hannah Henry finished right behind her in second. In the Male Individual race, Michael Milic earned a silver medal for Team BC, while Brock Hoel and Aiden Longcroft-Harris finished just short of the podium in fourth and fifth respectively. A graduate of the Advanced Coaching Diploma in 2015, Mike Charuk coached Team BC’s mountain bike cyclists at this summer’s Canada Games. In the Male Mountain Bike Sprint, Team BC’s Rhys Verner captured a gold medal – but it wouldn’t be his only one of the Games. He also earned gold in the Mountain Bike Relay with Sean Fincham and Holden Jones. BC’s third medal in mountain bike came in the female relay, where Julia Long, Lucy Schick and Emily Unterberger picked up bronze. Team BC brought home a record setting 146 medals – the most medals Team BC has ever won at a Canada Summer Games. 22 registered coaches from Canadian Sport Institute Pacific or an affiliated regional sport centre were members of Team BC.